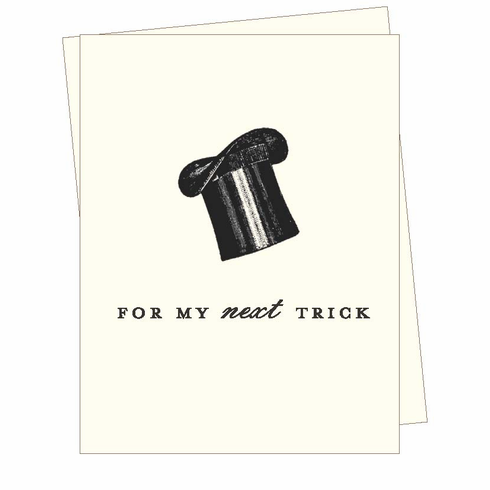 "For my next trick" reads the text under a vintage illustration of a magician's top hat. With a little imagination, this card can serve to celebrate any occasion--a new baby, a promotion, an apology. For actual rabbits, please see our "Are you thinking what I'm thinking? card. This card is blank inside.